A clear fluid produced in the brain, cerebrospinal fluid fills parts of the brain and the center column of the spinal cord. As cerebrospinal fluid circulates, it creates a rhythm that your bones also replicate. This rhythm is what a craniosacral therapist feels for when assessing the body to find restrictions in the system. The lining of the brain and spinal cord are also referred to as the meninges, and is split up into three parts starting with the outermost layer. These are called the dura mater, the arachnoid mater, and the pia mater. Cerebrospinal fluid circulates in between the arachnoid mater and the pia mater. The primary purpose of these layers is to protect our central nervous system. It is possible for the meninges to become tight, just like a muscle, and a cranosacral therapist can help relieve that tension. A tube that stretches from your brain to the low back, the spinal cord sits along the spine, controlling motor function and nerve signals throughout the body. As a key part of the nervous system, any time pain or other sensations are felt, the spinal cord is the one receiving the information. The sacrum is a triangular bone that sits at the base of the spine, in between the two wings of the pelvis. It adds support to the spine and spinal nerves. The entire system works together in harmony, and every part of the system is addressed during a session. For example if someone has come in after a bad fall on the sacrum, it could have an adverse affect on the head. My goal is to bring a balance back to the system and help remove restrictions in flow of the cerebrospinal fluid. If you feel this kind of work would benefit you I’d love to see you for an appointment! Craniosacral Therapy is becoming a popular type of alternative therapy for pain and dysfunction, but a lot of people don’t know what to expect for their first appointment. This approach is something I’ve always been fascinated in and would like to introduce to my massage practice. Over the next few weeks, I’ll be posting on some of the common questions I’ve heard. What does a typical Craniosacral session look like? Why is the pressure so light? How long will it take for my problem to be healed? One of the immediate benefits to any type of massage is how soft and healthy the skin feels afterwards. During a massage, your therapist will use an oil, lotion, or cream to warm up and work with your body. Humans are also social creatures who rely more on physical contact more than most people would realize. Massage can actually lift a person’s spirit and has been proven to reduce anxiety etc. As we approach winter, there will be many cases of cold, dry skin, so it’s the perfect time to hop on a heated massage table and get moisturized! 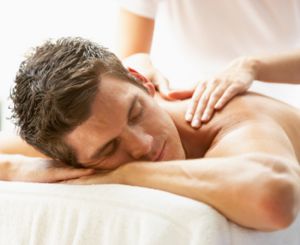 Pain Relief is what most people probably associate massage with. Almost everyone lives with some sort of pain that interferes with daily life. I like to believe people don’t have to live their lives in pain. Massage comes into play, by reducing the body’s pain response given by the nervous system. Sometimes the body will confuse harmless signals as intense, chronic pain, and will unnecessarily cause agony for the person. Massage can help reduce this pain response, by relaxing your body from the surface skin all the way down to the nervous system. I would love to help you see these benefits firsthand or to discuss other benefits that you might be able to achieve! Schedule a massage with me today and together we can help you feel more comfortable in your body. Spring is here, do you have the right products for a healthy and happy face? Are facials customized to my skin type?